If you are a regular reader of ShoutMeLoud, you know that I offer many services related to blogging. Two of the most prominent are WordPress SEO and teaching blogging & SEO. I recommend the latter to all of my clients because learning SEO will be helpful to all bloggers in the long run. However, some clients have plenty of money but no time, and they prefer to take the former, which is certainly sensible for them. If you are a blogger or a person who wishes to create a future in Internet marketing, I highly recommend that you learn SEO yourself instead of hiring people to do it for you. Once you have learned the basics of SEO yourself, you can hire the right people to perform specifically related tasks for you. For example: Were you to understand SEO, you would know where you should get backlinks, how you should optimize your content, and what is missing from your blog. With this knowledge in mind, you can hire the right people to do whatever tasks you wish to delegate. In this article, I will be sharing the various types of SEO software I use to teach SEO and blogging to my clients. 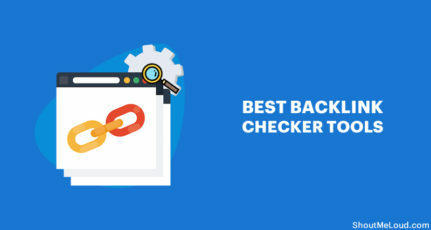 There is a vast array of software available, of course, but I will illustrate some of the best features of some of my favorite SEO tools, and guide you through them accordingly. Once the basics of SEO are clear to you, you can apply that knowledge to any SEO tool you like. Before we move on to my recommended software for learning SEO, please note that I do not recommend the use of black hat SEO techniques, as these may give you great results in the short-term, but in the long-term, they will always backfire. So – stay away from black hat techniques. Let’s have a look at how I teach SEO to my clients. I usually begin my sessions by asking clients a few questions from the perspective of someone who is conducting a search online. Then I will explain things from the point of view of search engines (and how they respond). How do you search for certain things? What kind of results would you like to see when you search for answers to your questions? If you were Google Search, what parameters would you consider for ranking a page? What are LSI words and why are they important? If your content is not ranking, what do you think you might be missing? Once we have covered these types of questions, I usually discuss Google Panda, Penguin and other search engine algorithm updates that are essential to know. When I teach SEO to a client, I take a very different route from many other instructors. Instead of giving my clients a basic definition and some technical information, I take the practical route and try to work directly with my client’s specific needs. For example, if my client has an existing site, I usually use Google to demonstrate how bots are indexing his site. 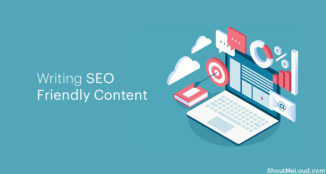 Within this process, I cover the basics of SEO such as the concepts of noindex, nofollow, meta title, description and other search engine optimization terms. This also helps a client to understand the advanced concepts of SEO when I talk about them later if I am in a position of consultancy. 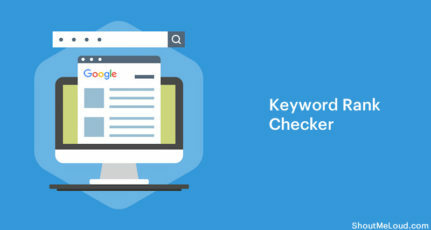 For keyword research, nothing is better than the free Google Keyword AdWords tool. When learning to look for keywords, this is the best place to begin. When I do content planning, I prefer other tools, but for keyword research the AdWord tool is perfect, especially since it’s free. I also teach my clients to use Google Instant search as well as a few lesser known SEO tricks to help them find the best keywords for their blog. Google WebMaster Tool is the holy-grail for bloggers. This is free SEO software from Google, and it will not only let you submit your sitemap, but you can also analyze the in-depth details of your blog’s/website’s SEO. In general it takes about 15 minutes to explain the various GWT settings, but it’s worth the time because the Google Webmaster Tool will help you to conduct an SEO audit of your site. Google Webmaster Took is a very useful tool that will serve you well in the long run. I prefer SEMRUSH for the purpose of finding keywords that I’m ranking for, but to make the SEO basics clear, I prefer to explain things to my clients using a Google Analytics account. Here I cover the data you should be looking for with your Google Analytics account, and I offer instructions on how you can use existing data for optimizing your content and finding the useless pages on your website. When you are working online, results are what motivate you. For a blogger, keyword ranking and traffic are the biggest motivation. 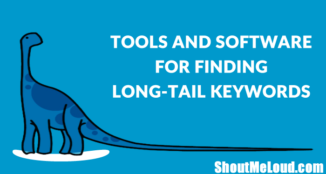 There are several keyword ranking tools that I recommend, and I recommend SEMRUSH. I also show them few examples from my blog to explain why a particular article is ranking high, and why certain articles are still not on the first three pages of Google. In truth, the best SEO education occurs when you are learning without software. Because SEO is changing so quickly (with each passing month it seems), it is really not the “text book knowledge” that will keep you ahead of the crowd. Instead, the associated human logic and experience is what will really make the difference. 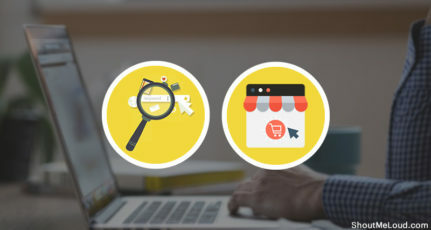 In this module of my course, I talk about all of the minor SEO techniques that are working now, and what other SEO techniques are likely to work in future. I also discuss what will make a blog successful, which SEO parameters you should not ignore, and which parameters you should ignore completely. Much of this is covered when I talk about the SEO software mentioned above, but I make sure to spend plenty of time explaining all of the basic SEO details in this module. This particular tool does not fit everyone’s budget because it’s a paid tool, but a few of my clients loved it when I explained how to use SEMRUSH for content planning, illustrating how helpful it can be to the growth of a blog. This is part of my SEO consultancy, but you can read about it here. What’s next after explaining SEO? 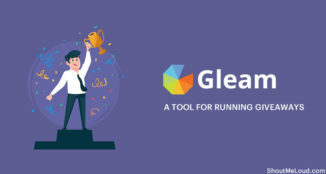 These are just a few examples of the SEO software that I prefer to use, and of course this plan changes in conjunction with how fast a client grasps the various concepts involved. 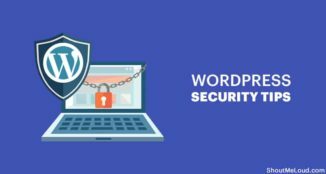 Since my area of expertise is WordPress SEO, after I explain, illustrate and clarify SEO for my clients, I explain how SEO works in WordPress, and how easy it is to control or manage everything with the help of plugins, Robots.txt and other factors. Once my clients are clear on the basics of SEO, I move on to teach them about blog branding, content marketing, backlinks, creating domain authority, monetization and other blogging concepts that I have learned over the past four years. There are several tools which I do not introduce at this level, as they would present a lot of material that would be difficult for a beginner to digest. However, while my current class requires 1-3 hours, when I extend the time-frame I will include teaching tools such Ahrefs and a few others. I will continue to update this guide as I continue to add new SEO software into my SEO coaching program. If you wish to review existing testimonials from my clients or learn more about my SEO coaching program, you can find most of the details here. If you think there is additional software or tools that I should consider adding to my coaching program, feel free to suggest tools that you find particularly useful. If you find the information in this post useful, please share it with your friends and colleagues on Facebook, Twitter and Google Plus. Wow the tools are must have.Will you also please list the plugins and other tools that you use for ShoutMeLoud? This is a great list and good to know about the tools you use. My personal favorites are free backlink checkers, opensiteexplorer, keywordspy, alexa, google adwords. They have been helping me in getting to learn a lot about competition and keywords. The two premium tools that I would like to have are SEMRUSH & SEOMOZ for sure. 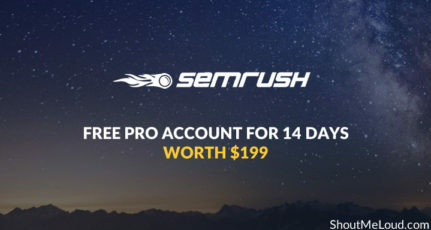 SEMRUSH free version is itself amazing and I am sure that the paid version will help people to get the best out of their bucks. Though I never write keeping in mind SEO and Google, but as they say Love them or Hate them but you can not Ignore them….. So tweaking your article a little bit here and there from POV of SEO will definitely add few more visitors from mother Google. Ha Ha , using of words like “Google WebMaster tool is the holy-grail for bloggers” is very interesting. Yes you are right brother, Google is Holy Mother and WebMasterTool is Holy-Grail 🙂 , you don’t need any more supper after it. 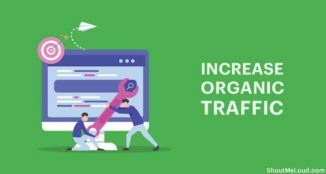 Nice post as usual,it is good to read that how effectively you had mentioned here free and paid seo tools to boost ranking. Is there any way to use SEM RUSH as for trial period in few dime as i have heard lots of reviews in your previous blog post also.